This life-sized replica of H.P. 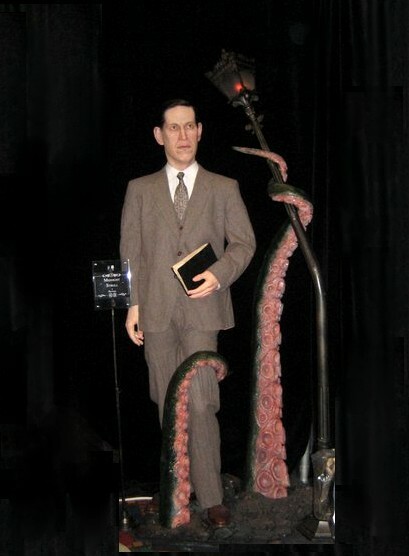 Lovecraft by special effects artist Russell Lukich is absolutely stunning. The tentacles are a brilliant touch, and is that a copy of the Necronomicon I see? I hope so!